The winning numbers were:- 22, 61, 71, 83, 97, 148, 155, 202, and 208. 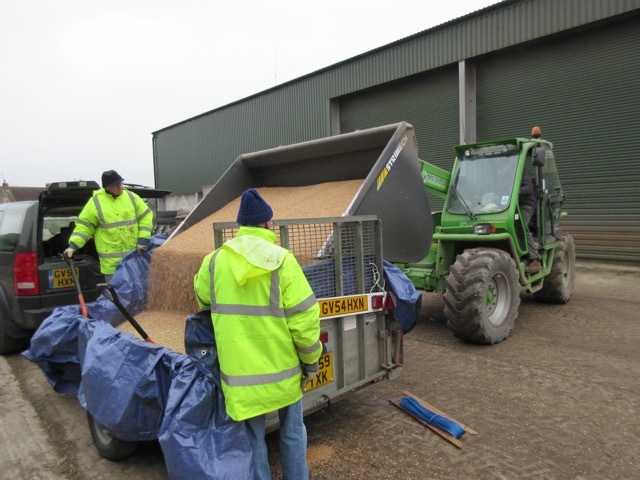 Here we are in January 2017 collecting more wheat from Upper Chancton Farm, Washington. The mill itself during our normal opening times. and South Downs Heritage Centre, which also has bread available baked with Oldland Mill flour. Oldland Mill Trust can also offer guided group tours of the mill at any mutually convenient time. Numbers have to be restricted for safety reasons but a total of 16 visitors can be accommodated at any one time, split into two sub groups. Visitors of all ages can be accommodated and Guide, Scout and Youth groups are welcome (with suitable supervision) as well as more mature groups. There is no fixed charge but a donation to the mill funds is requested for each visit. Please email info@oldlandwindmill.co.uk for further information.